Take the Rivonia Road turnoff from the N1 and proceed into this road. Follow this road through Rivonia and Morningside into Sandown. Turn into Maude Street from Rivonia Road. You will find The Bull Run opposite the Johannesburg Stock Exchange. 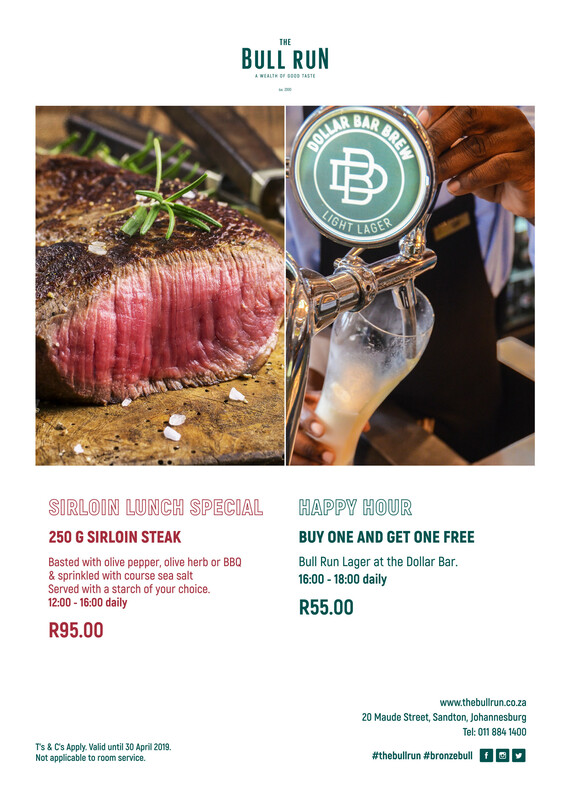 Enjoy some of the best steaks in Johannesburg, peruse the extensive wine list or sip a signature cocktail in the centre of the city's financial district. Adjoining the historic Protea Hotel by Marriott Johannesburg Balalaika Sandton, with a larger-than-life sculpted bronze bull outside, and a masculine, moneyed theme expressing this established eatery's long history in the financial district, the Bull Run is effortlessly, yet affordably sumptuous. 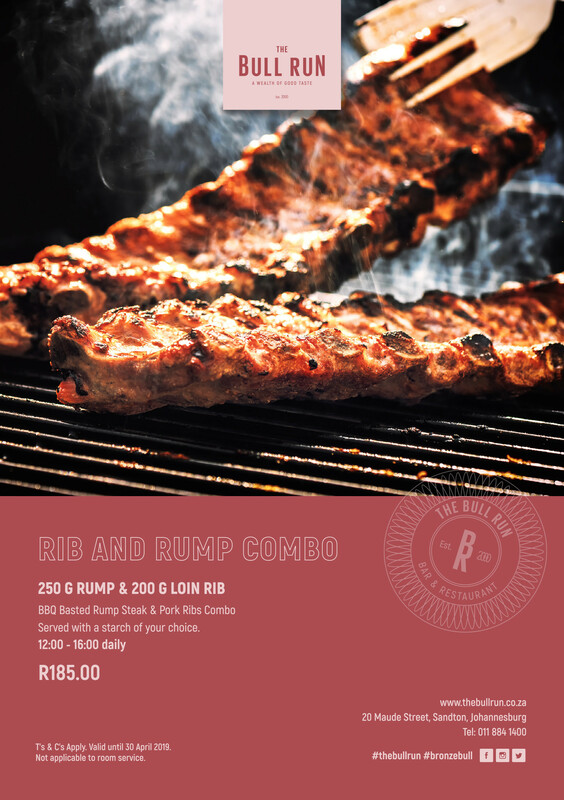 Trading hours from 11am until 10.30pm every day, it's an oasis of welcoming, no-fuss culinary sophistication, at ground zero in South Africa's beating commercial heart. I love the atmosphere when dinning there and the food is of excellent quality.